4 Bedroom Link Detached House For Sale in Wigston for Guide Price £230,000. 9 The Crescent was formally a local convenience store for many years. The unused premises to the front of the main residence have great potential to further develop into additional accommodation STLPP. In addition the residential accommodation is adjoining, this comprises of, entrance hall, breakfast kitchen and lounge. To the first floor are four good sized bedrooms the master having ensuite and a family shower room, a paved garden to the rear of the property, and three substantial store rooms adjoining the property. Double glazed uPVC window facing the rear overlooking the garden. Radiator and electric fire. Double glazed uPVC window facing the rear overlooking the garden. Roll top work surface, wall and base units, stainless steel sink, integrated oven, gas hob. 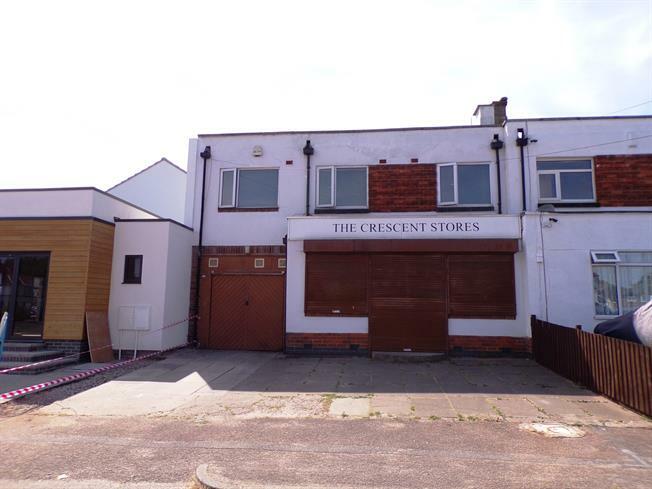 For many years formally a local convenience store, no longer used as business premises, lots of potential to develop into additional accommodation/living space. Garage, with up and over door power and lighting, allowing access to the main house. NB the neighbouring property has pedestrian access into their rear garden. Middle store room with power and lighting allowing access to both front and rear storage areas. With Power and Lighting, access to the middle store room. Double glazed uPVC window with obscure glass facing the rear. Radiator, vinyl flooring. Low level WC, panelled bath with mixer tap, vanity unit and wash hand basin with mixer tap. Double glazed uPVC window with obscure glass facing the side. Radiator, vinyl flooring. Low level WC, single enclosure shower, vanity unit and wash hand basin. To the front of the property is parking for several vehicles. The rear garden which is accessed through the garage, the garden is fully paved private and enclosed by timber fencing.